Until I watched the Disney/Pixar movie Coco, I really didn’t’ understand what the Dia de los Muertos was about. I can understand a day to celebrate your lost family members, but I didn’t know what that entailed. Do people have wailing sessions all day? Do they dress in black? Is there food designated for mourning? The Day of the Dead isn’t so much to mourn the deceased as it is to celebrate the life they had. Dia de los Muertos has been celebrated for around 3000 years. It has evolved over the years encompassing some Christian beliefs, but it has never lost its true meaning: Do not fear death. Celebrate life. 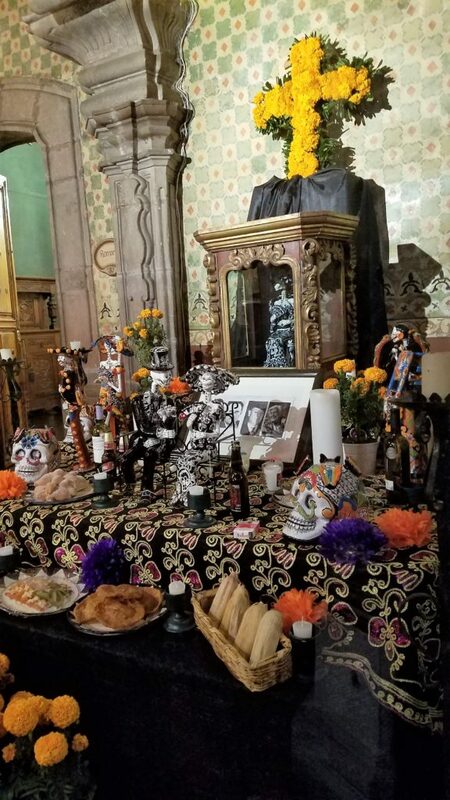 Dia de los Muertos is a 3 day event. It begins with Halloween. This day is also known as All Saints’ Eve or Dia de los Brujas (Day of the Witches). This is the day for live children to go around and ask for candy. Depending on their parents, they may do this for all three days. On Saints’ Day, the Mexicans remember the children who have died, and on All Souls’ Day the adults that have passed away. I’ve only been to one memorial and one funeral my entire life, so I really don’t understand what a person is supposed to do in a death situation. We have a lot of Mexican friends now, so I asked them what the Day of the Dead is like. How should I act or show respect? Their explanation was that this was more like a party to celebrate a lost loved one with funny stories and their favorite items. If you plan to visit Mexico for Day of the Dead, make reservations more than 3 months in advance. Hotel prices are higher at this time, so just expect to pay more. 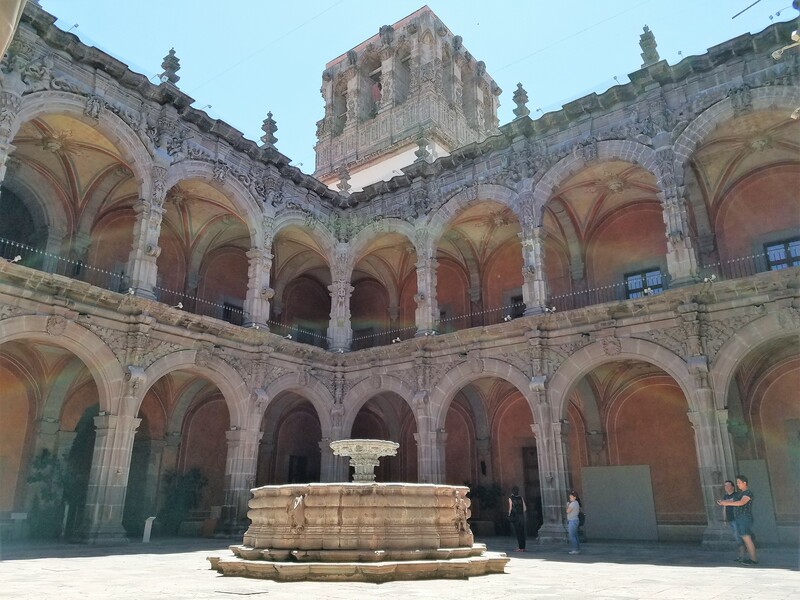 We tried to reserve a place in San Miguel de Allende (that takes dogs) 3 months in advance, but most places were sold out or asking for 3 times the usual price. 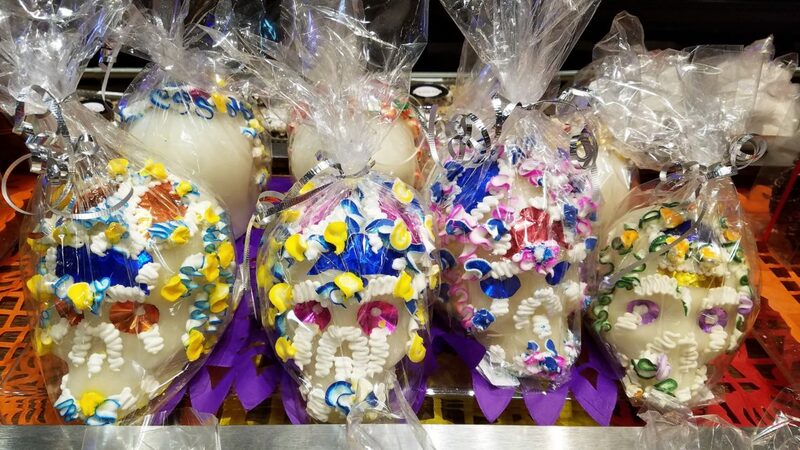 This link lists the best destinations in Mexico to experience Dia de los Muertos. 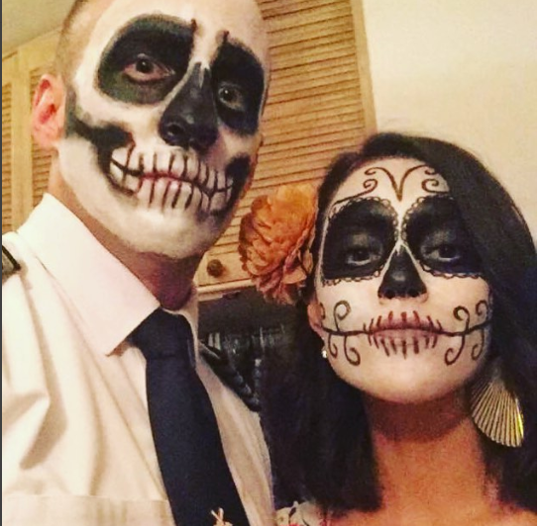 This was our first Day of the Dead ever. Even though we live here, we are still tourists stepping in to the unknown. We took an Uber to the Centro historico to see what festivities were taking place. In Centro, they post billboards of daily activities happening around town, but they don’t list things online. 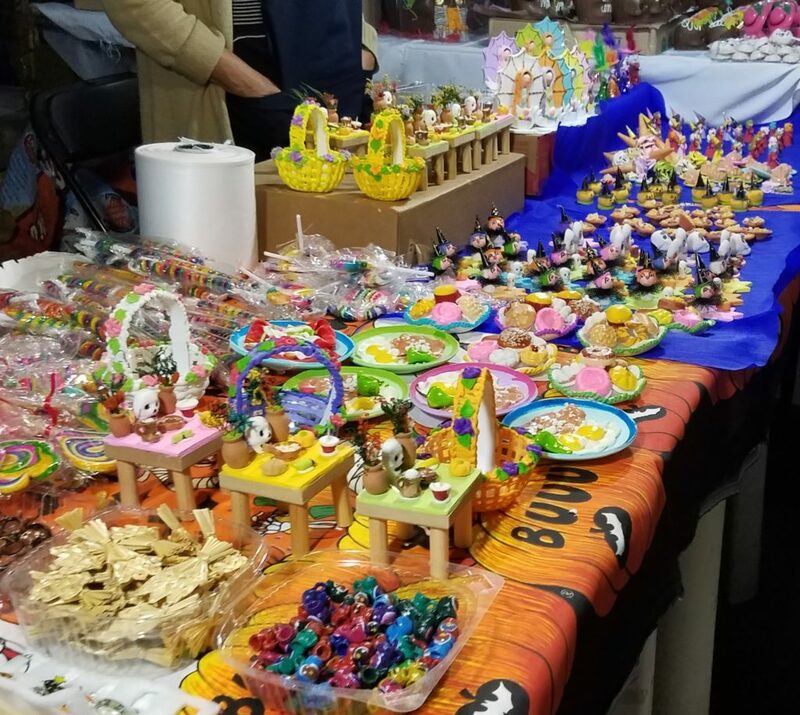 It was slightly chaotic with so many people and a ton of vendors, but it was exciting to see all the activity and families enjoying the cool night. 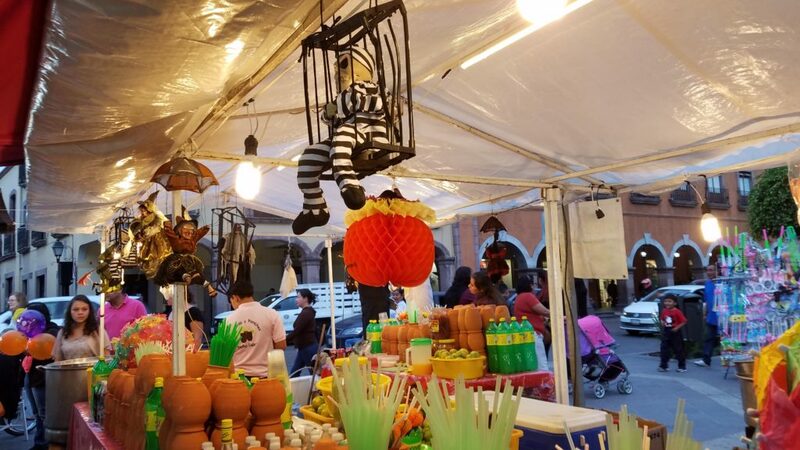 Food street vendors hung Halloween decorations around their stalls, and the food was fresh and inviting. 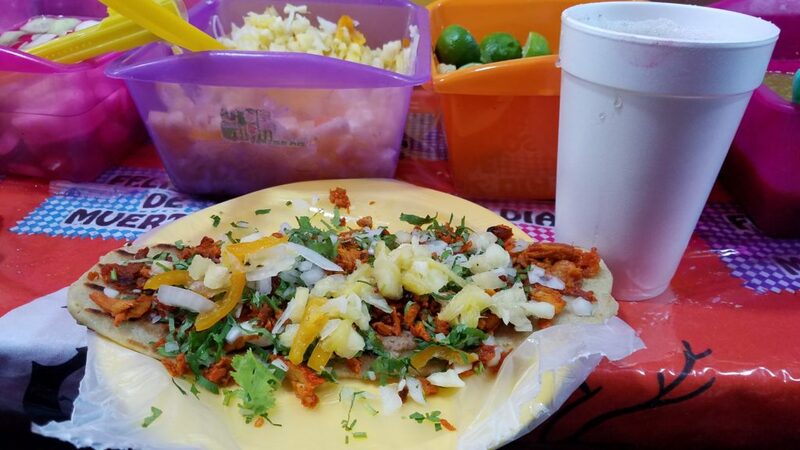 We stopped to have huaraches and tamarind juice, but we could have easily stayed under the food vendors tarps all night eating our way through the crowded aisles. 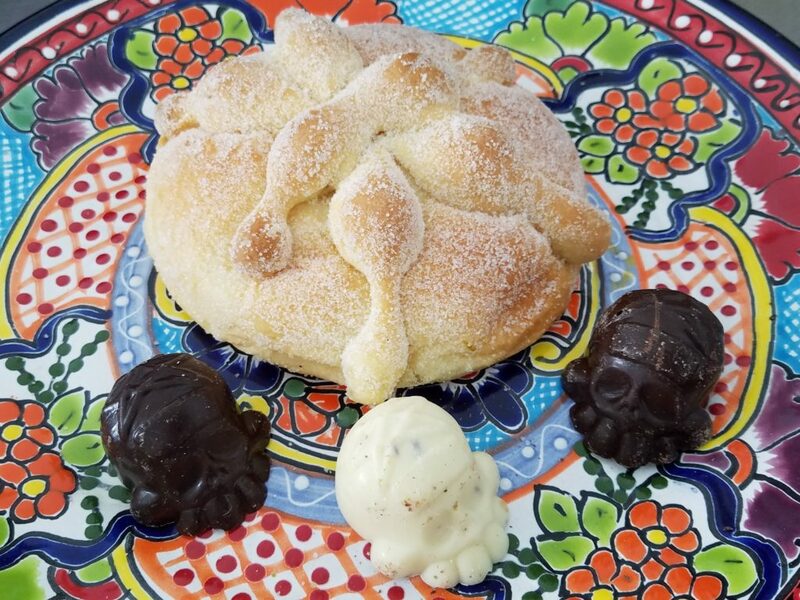 Many vendors had the sugary pan de los muertos that has a faint flavor of orange zest and texture like a lightly fried churro. 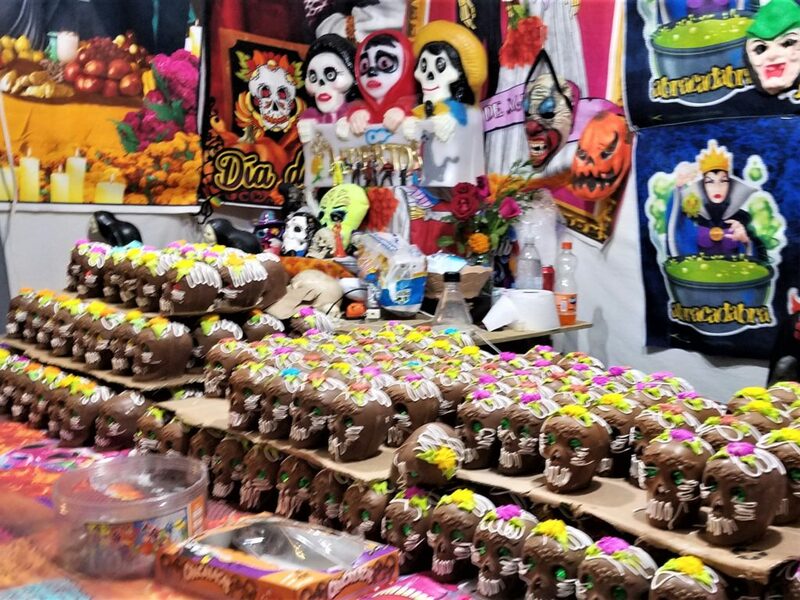 Each plaza was crammed with vendors selling chocolate skulls and small toys for children and altar offerings. Casa de la Corrigidora, the State Office, was opened to the public with altars built by different barrios honoring someone. 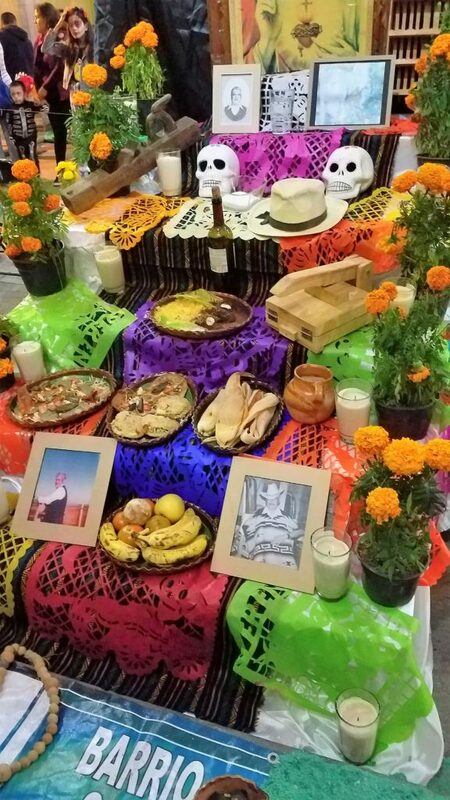 Offerings ranged from corn and chilis to a favorite Mexican dish with Coca-Cola or wine. Pictures, toys and clothing were also displayed and surrounded by marigolds. This brightly-colored fragrant flower is believed to help guide the dead back to the living world. Some of the hotels like Casa de la Marquesa created an extremely elaborate altar in their lobby. Many children were dressed up as their favorite superhero or as a catrina carrying small plastic pumpkins to gather their candy. I would have gotten my face painted if I had seen a facepainter, but it seems that everyone did their own makeup. Luckily, my friend Riley let me borrow his picture. We ended the night with a bottle of wine on the rooftop bar of Hotel Antiguo Meson Aspeytia. It has the perfect view overlooking the Santuario de La Congregación de Nuestra Señora de Guadalupe. And we can’t forget the fireworks! This is a celebration after all.